Additional good news: Until mid-September, people can donate to One Day’s Wages via Amazon Payments with absolutely ZERO surcharges (amazing!). You can also mail your donation. Yesterday, Seattle Business Journal published this article about One Day’s Wages. Help us spread the word by tweeting or posting the article on Facebook, or sending our Vision Letter to some of your family & friends that might resonate with ODW’s vision. A Seattle pastor and blogger is launching a grass-roots, global movement to fight extreme poverty by asking supporters to donate something he says won’t break the budgets: one day’s worth of wages. The group, One Day’s Wages, was granted status as a nonprofit in May and will unveil a website to accept donations this month. 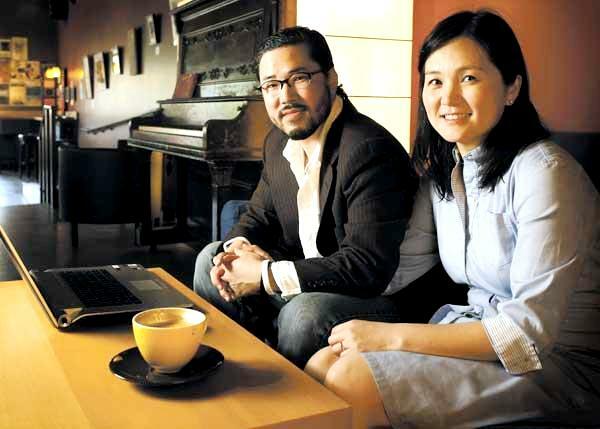 Founded by Eugene Cho and his wife, Min Hee Cho, One Day’s Wages is using social networking tools such as Facebook and Twitter to seek funds. The nonprofit’s mission is not associated with any faith, the Chos said. The concept is simple: Donate a single workday’s worth of wages — equal to $192 for an income of $50,000 a year — and have donors renew the pledge each year on their birthday. “My wife and I want to do our part to impact the larger world,” said Eugene Cho, a blogger and Christian pastor at Quest Church in Seattle. The nonprofit’s Facebook group, called Fight Global Poverty, lists an astounding 803,000 members. The Chos pledged to give $1 for every member of the Facebook group, up to $100,000, and Eugene Cho asked his 2,000 friends on Facebook to consider joining the group. From there word spread rapidly, he said. “It is pretty stunning to us,” Eugene Cho said of the interest the concept has received. One Day’s Wages has begun receiving donations but will not make grants until September after screening groups to be eligible to receive the donations, Cho said. Cho said the idea came to him and his wife three years ago after one of their three children asked about poor children in a television commercial. The question resonated, so Cho and his wife pledged one year of their household income — about $68,000 — to fight poverty. From that, One Day’s Wages was born and the Chos increased their total pledge to $100,000, some of which might go to cover administrative costs for One Day’s Wages. Cho said donations will be passed through to established organizations that support clean water, education, health and other strategies for fighting poverty. “Our desire is not to reinvent the wheel,” Cho said. I’ve been following you on Twitter…I can’t make a financial contribution at this time, but if there is any other way I can support ODW please let me know (photography? video/film?). My website is http://www.blueskyhill.com. Can’t wait to spread the word! Your faithfulness through this process is what is so inspiring! I’ve been reading about your organization and watched the videos and read the letter and I must confess to you that I still don’t quite understand the purpose of your organization. It seems like you are encouraging and collecting funds to fight global poverty and in turn are then giving the funds to other organizations. I don’t mean to be disrespectful or anything but isn’t your organization a type of “middleman?” Why can you publish a list of your recommended NGOs and we can donate directly to the NGOs? That way we save the $150000 in operational costs for your organization and that money can be used directly in the war against extreme poverty. I’m probably just missing something here, but what added value does your organization contribute? @randplaty: if it’s not clear, then we haven’t done a good job communicating our vision. hopefully, it’ll become clearer when we share our website. but i would encourage you to donate directly to NGOs you believe in. that would be cool. Makes sense to me, Eugene. You’ve made everything transparent and that’s what I really appreciate. You’re asking for some investment to build a network to inspire thousands to join the cause. And if I read your letter correctly, you’ve already stated that 100% of all public donations are going to organizations that people choose via One Day’s Wages.